1 of 2 Add wheat berries to saucepan of boiling water, return to a boil; reduce heat. Simmer, covered, for 30 to 40 minutes or until tender. 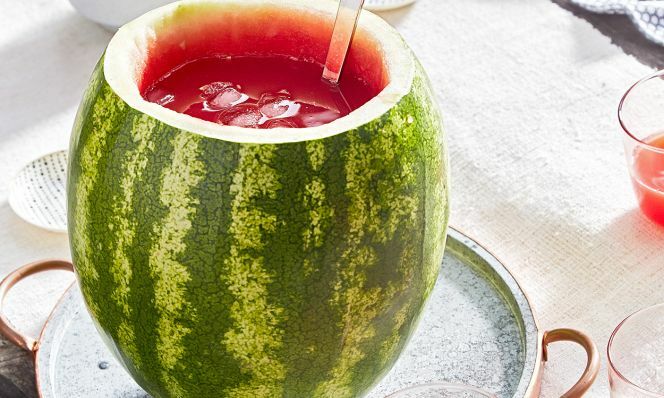 Drain; transfer to bowl to cool. 2 of 2 In a small bowl, whisk together lemon juice, oil, syrup, cinnamon, salt and pepper. 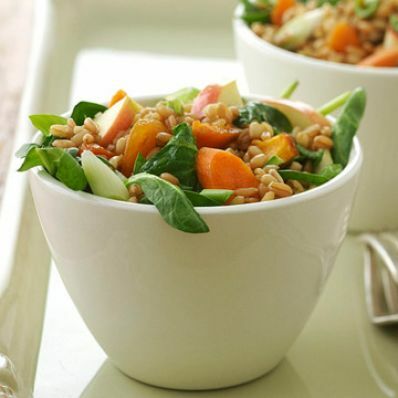 Toss with wheat berries, apricots, apple, carrot and onions. Serve over spinach. Per Serving: 0 mg chol., 217 mg sodium, 12 g fiber, 8 g Fat, total, 50 g carb., 0.6 g sat. fat, 8 g pro., 284 kcal cal.